Tired, isolated, scared—Evan’s only escape is drawing in an abandoned church that feels as lonely as he is. And, yes, he kissed one guy over the summer. But it’s his best friend Henry who’s now proving to be irresistible. It’s Henry who suddenly seems interested in being more than friends. And it’s Henry who makes him believe that he’s more than his mother’s harsh words and terrifying abuse. But as things with Henry heat up, and his mother’s abuse escalates, Evan has to decide how to find his voice in a world where he has survived so long by avoiding attention at all costs. 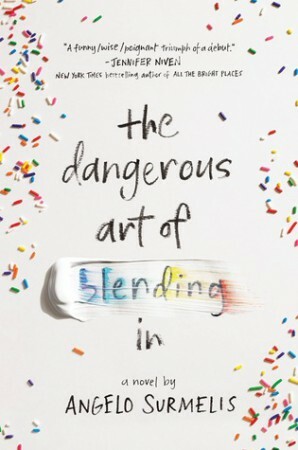 The Dangerous Art of Blending In is a really tough book for me to review because it is about such a dark subject matter and also, without going into too much detail, it hit very close to home and it was triggering. I had to keep putting the book down because Surmelis’ wrote certain scenes so well that I had to step out of the story for a bit. The main character, Evan, is Greek-American, gay, in the closet, and is being raised in an abusive household. I loved Evan sooo much. He is the sweetest person and he deserves all the hugs. Evan’s mother is actually the worst. I don’t know how else to express my hatred of her in a PG manner. She was physically, mentally, emotionally, and verbally abusive, and it was incredibly difficult to read. Evan tried so hard to live up to his mother’s expectations and to do everything “right”, but she didn’t change. Because people like her don’t change. And Evan eventually came to realise that he wasn’t the problem here. Evan’s father wasn’t much better, as he just sat back and allowed this abuse to happen, only stepping in when Evan’s life was actually in danger. It was incredibly difficult to read. I wasn’t too bothered about Henry, the best friend and love interest, because the romance took a backseat to the rest, but he was cute, I guess. I liked his relationship with Evan well enough, but like I said, it was overshadowed by the abuse and the story was really about Evan. The Dangerous Art of Blending In was one of my best reads of 2017. 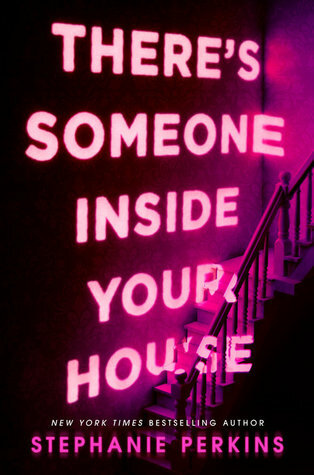 Everyone should read it when it comes out in January. i’m sorry to hear that this was such a difficult read for you but i’m glad it ended up being worth it! i have a copy of this to read too and i am 100% more excited to read it now.